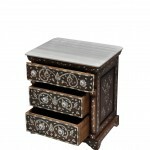 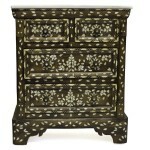 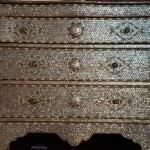 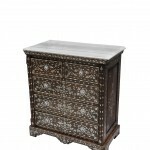 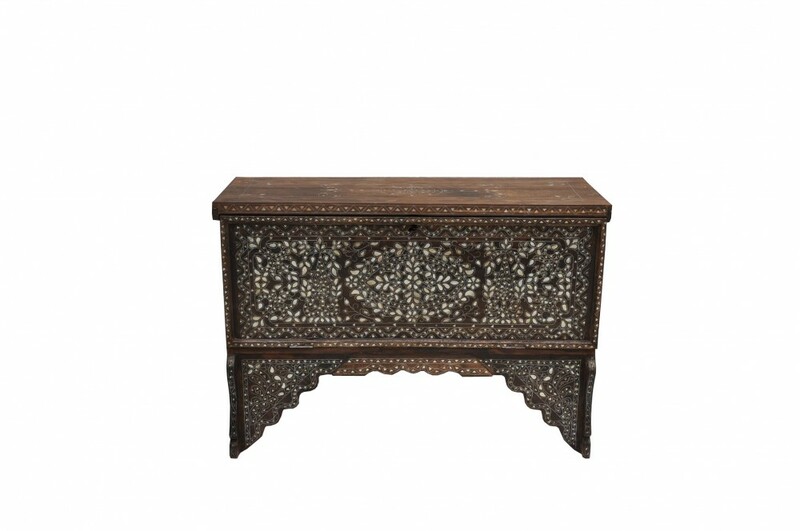 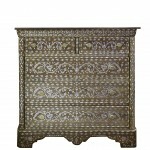 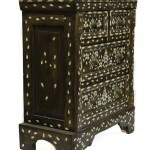 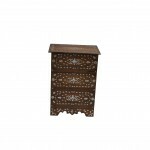 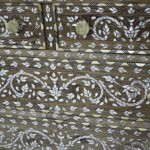 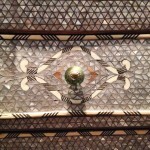 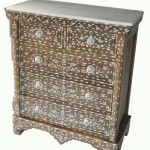 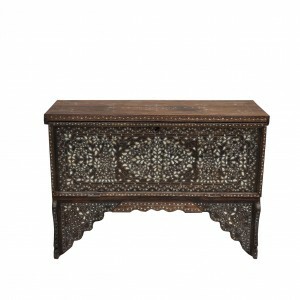 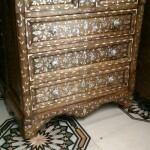 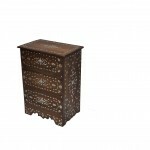 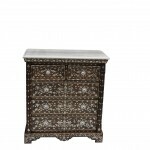 A truly one of a kind antique Syrian bridal chest inlaid with mother of pearl, silver metal wire and camel bone on walnut. 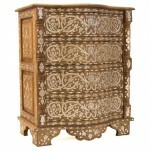 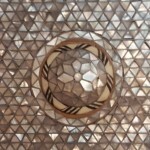 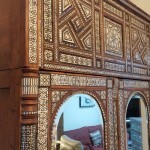 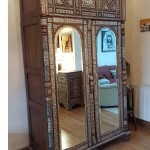 It has the most intriguing medallion inlay design. 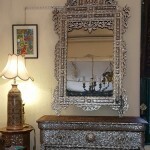 It is a piece to own and cherish for life. 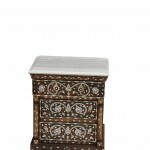 Every item of the Artiquea’s Chest of Drawers collection has been carefully selected from Artiquea’s specialists for its outstanding quality and rarity.